It’s been quite a while since I’ve blogged, I know. The truth is I have been sick. Sick as a dog sick. So sick I can barely function to keep up with my home and kids! The reason I’m feeling so miserable? That would be this little guy or girl here. Yes, we are expecting our third baby! Mr. Simple and I are thrilled to be blessed with another little gift from God. This little bundle has made me more ill than both my last pregnancies combined, though. I’m 11 weeks pregnant today and badly wanting the morning sickness to go away. I miss blogging. I miss keeping a clean house. I miss feeding my family healthy meals. We have survived on a lot of take-out. The thought of “real food” sadly makes me want to gag, so I haven’t even been reading a lot of the blogs that I enjoy either. I know this is just a season, though. I’m hoping the sickness goes away by week 14 and I can enjoy my pregnancy some! I don’t know how some other mama bloggers keep on blogging when they are in the midst of morning sickness! I think it just must be really hard on me. Now for the details of this pregnancy. 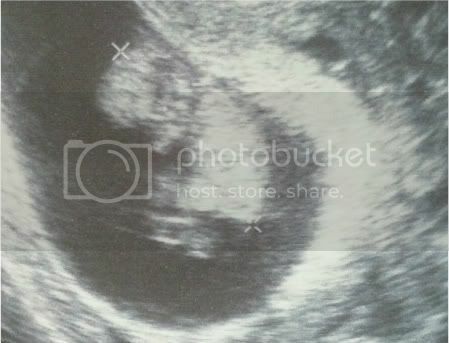 I found out about our little bundle on March 6, 2012. I had a suspicion. I was eating way more than usual and I could not stay away past 9 p.m. When the digital test read “pregnant” I was a little bit surprised. We had just moved and were still settling in. Sadly, because I’ve been so sick, settling in is taking much longer than I would have guessed! I am taking Zofran to help with my sickness. I actually just ran out. It does seem to take the edge off of the nausea, but doesn’t get rid of it completely. About two days ago I thought maybe the morning sickness was gone, but yesterday proved to me that it was back with a vengeance. So far I have only had one appointment with my OB. I’m due around November 9th! That means all three of my kids will be fall babies! My belly has already popped quite a bit. I think I look about like I did when I was five months with Sis. Hopefully this sickness lets up and I can start blogging regularly again. I have so much to write about! And CONGRATS! (Oh and the mess and to-do’s can wait – go easy on yourself, mama, lol). Thank you! My goodness you have been through a lot with your pregnancies! I know they are worth it, but it sure is hard getting through the sick part!